At times, running a business fleet can be an overwhelming experience. If you want to ensure maximum efficiency and effectiveness from your vehicles, then you need fleet management tools that serve the particular needs of your business. Fleet management software encompasses a range of platforms and technologies that help you keep track of your fleet, ensure the safety and productivity of your drivers, and maximise the performance and efficiency of your vehicles. It can also log and store essential data and documentation on vehicles and drivers, which both fleet owners and drivers can access whenever needed. Fleet tracking software comes with a dizzying array of features. Below, we take a look at just some of them, and explain how they can benefit your business fleet. Keeping track of your vehicles is, obviously, imperative when managing a fleet. Vehicle tracking software uses a GPS system to track your vehicles in real time, round the clock. Find out more about vehicle tracking here. Route optimisation helps your drivers find the most cost-effective routes. You can both plan multi-stop routes in advance and manage routes to help drivers adapt to last minute changes when there are road closures or traffic flare-ups. Route optimisation has the added advantage of protecting the environment. And with transportation a major contributor to global CO2 emissions, it should be your duty as a fleet owner to minimise environmental impact. From monitoring driving style and behaviour to suggesting improvements and ensuring best practice, tools can keep track of all manner of metrics. It’s amazing how much data software can now produce and analyse to help you optimise your fleet. Some providers can even issue in-vehicle alerts if they detect unsafe driving. As well as helping drivers use their vehicles more safely, fleet management software can instruct them to drive more economically by analysing factors such as acceleration and brake use. Some even employ an element of healthy competition to help educate drivers, who can compete for positions on leaderboards and check how they measure up to their colleagues. They can then discuss their score with a supervisor and work to improve it. Drivers can also access the information they need to carry out their job, as well as alerts and reports, from their mobile. Fleet management can really help to lift the burden of admin associated with owning a fleet of vehicles, and the upkeep that entails. For example, by recording important milestones, it can notify you when a vehicle is due for a service or MOT, or when the insurance needs to be renewed. Distance travelled per day/week/month etc. This can be used to generate reports and make improvements. Frequently, the price of fleet management software is based on the size of your fleet and the distance it will be travelling on a regular basis. Many providers don’t publish their prices, but you can get a clearer idea of cost by contacting them directly. Generally, you’ll be paying a fixed monthly fee which will scale in line with your fleet. Most providers offer free installation of their hardware. You may also be able to find a fleet management software free download that you can use for a trial period. Vehicle trackers vary in cost depending on how feature-heavy they are. You can pick up a fairly basic tracker for around £60, or lease one for as little as £10 per month/per vehicle. An advanced tracker will cost closer to £300 outright, and between £15 and £25 per month to lease. Find out more about vehicle tracking costs here. Don’t forget that you also need to factor in the return on investment (ROI) of fleet management software. 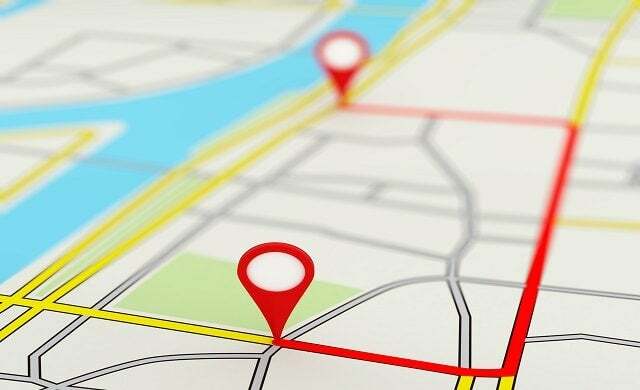 Given the wealth of sensitive driver data they have the capacity to collect, you may have spotted the potential for vehicle tracking solutions to contravene General Data Protection Regulation (GDPR). In case you haven’t yet encountered GDPR, it was introduced in 2018 to modernise data protection laws and give individuals more control over their personal data. According to Lawgistics, which provides legal solutions for the motor trade, the information produced by a vehicle tracking device would be defined as personal data under GDPR, because it relates to a person who can be directly or indirectly identified. However, you are entitled as an employer to use tracking devices to collect this data, provided there is a legitimate reason for doing so – operational efficiencies or safety/security benefits, for example. In order to stay above board, then, you need to have a clear policy set in place which details the nature and extent of monitoring. The trackers should also have privacy buttons. As you’ve seen, adopting fleet management software can represent a great investment for your business. Whether large or small, any business that relies on a fleet will benefit from the efficiencies and cost savings a fleet management solution can create.